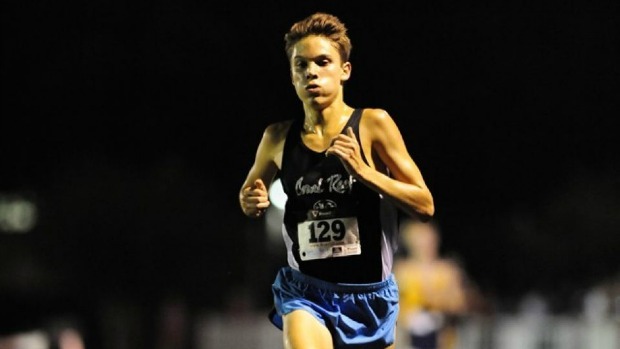 South Fork High School in Stuart will be blazing on Saturday morning as the top teams from South Florida and the surrounding areas, as well as Sarasota High School, will attend the 2014 Fleet Feet Invitational presented by Saucony. Flrunners.com will be on-site with photos, results, and a complete recap of all the action. Familiarize yourself with the athletes and see how we think the meet will play out with our meet preview and virtual meet. After a dominating performance at the UF Mt. Dew Invitational the Pine Crest girls were nominated for MileSplit Team of the Week. 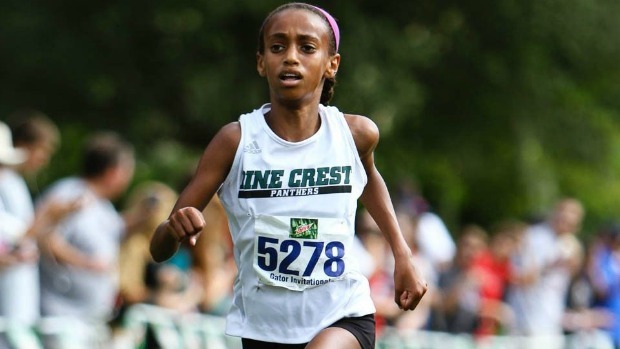 They will be the favorites this in this meet and feature the top 1-2 tandem in seventh grader Tsion Yared (pictured above) and junior Julia Montgomery. Montgomery, the two time 2A Cross Country Finals champion, won this event the last two years as well. Teammate Yared was second last year. Julie Wollrath, the 3x 1A Cross Country Finals champion, who transferred to Melbourne her senior year, has run 18:41.30 this year at the Hagerty Invitational and is coming off of a win last weekend on a tough National Training Center Course in Clermont at the SHS Invitational. Look for those three to be out front with Cadi Rowe, Bethany Hardcastle (4th last year), Courteney Zboyan (3rd in 2012), and several other Pine Crest runners. The Panthers won the team title last year with an impressive 35 points and are the clear favorites once again this year. Much like the girls race the boys, will be loaded as well. Two of the top four teams in 3A Belen Jesuit and Sarasota will face off against 4A powers Coral Reef and Columbus. Belen senior Ryan Rodriguez is coming in with the top time of 15:31.74 from the UF Mt. Dew Invitational, but he was beaten by Kurt Convey (pictured above) and his teammate Carlin Berryhill at the Miami-Dade County Youth Fair. Convey, our week two Athlete of the Week, is on a hot streak after rattling off wins at Katie Caples and Miami-Dade County Youth Fair, both where he was sub sixteen. Then there is the Sarasota duo who will be making the trek to Stuart. Adam Bradtmueller was starting to get sick of placing second to teammate Zack Summerall. With no Summerall at the Ft. Myers Optimist meet, Bradtmueller took home the win and then flat out beat Summerall last weekend at North Port. You better believe both Sailors will be fired up for this one. Lastly, you can't count out Garrett Camps of Melbourne. The swimmer turned cross country runner knows what it means to be in shape. In his first season in the sport, he has three top four finishes in three meets and has went under 16 minutes twice. Belen should win the team title comfortably led by Rodriguez and a strong junior class. Look for Sarasota, Columbus, Coral Reef, and Pine Crest to fight for the runner-up trophy.